One of the quickest ways to redecorate or freshen up the look and feel of a room is with a fresh coat of paint. However, it is important to apply the paint properly and with the right tools and equipment. A bad paint job might destroy the look of the room and end up costing more to redo the painting. Instead, contact our Professional Chandler, AZ Interior Painting Company. We will do the painting right the first time. Thus, saving you a lot of frustration and money. We take great pride in our work. We can guarantee you that you will be completely satisfied with the high quality of our workmanship. 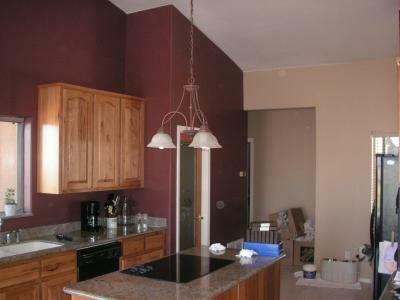 Select our painting company to handle all your Chandler, AZ interior painting requirements. The fact is that a lot of companies try to cut corners by using inferior paints and tools. However, we only use the best paints on the market and top quality tools. That is exactly why we are a superior painting company. We stand behind our work. Our team of professional painters are experienced and the best at painting home interiors. Here is something that we would like to share with you. We understand that getting the interior of the building or home is a major hassle. Therefore, we work to make the experience as pleasant as possible. We work hard to keep everything organized and try our best not to interfere with the regular routine of those in the home or at a business. We are very professional, courteous, and fast. In addition, we will keep the area clean. We want you to look for and only expect the best because that is what we deliver. Contact us today for more information on Chandler, AZ interior painting services.